Is there a Disney fan in your family? How much would they like about a shower head of Mickey or Minnie? Here's the chance to win one for them. You have through 12/30 to enter to win one of two. US entries only. Good luck. Kids don't always love showers or baths but kids do love Mickey & Minnie. So the wonderful people at Oxygenics took these fun characters and brought them to functional life in a fun way with these amazing shower heads! Not only are these shower heads absolutely adorable and fun, they also have some amazing features that make these a must have in any bathroom. 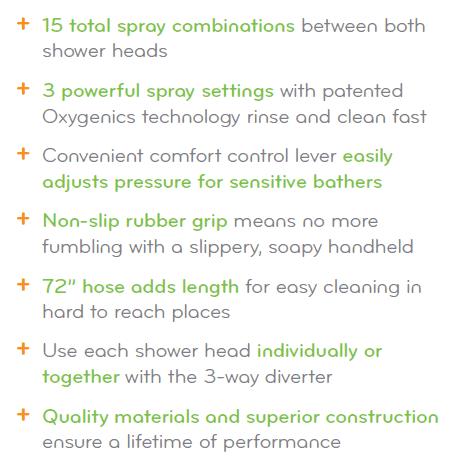 To find out more about this fun Shower head, head over to Conservamom to see her review! You can Get one of these fantastic shower heads at any Sam's Club across the country or order the Mickey shower head online here. Two lucky winners will each get one of these fantastic shower heads! So head below to enter! This giveaway is open to US only and ends on 12/30 at 11:59pm. I would love the Minnie Mouse shower head,she's cute and has a bow on her head,my daughter agrees, Girls Rule! 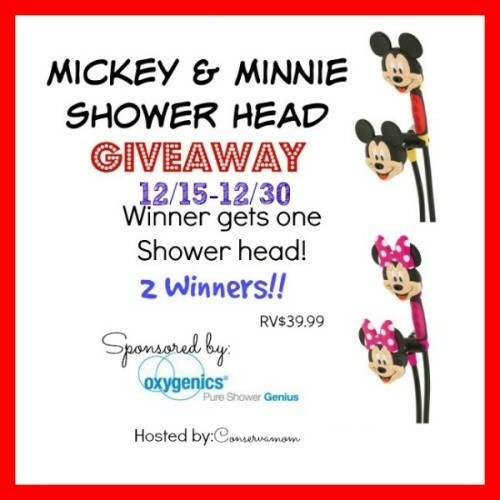 I would love to win the Mickey Mouse shower head! I would like mickey mouse shower head.